Perk up your 4th of July picnic with some patriotic flair. This easy, no bake fruit tart will wow your guests and leave them asking for more. 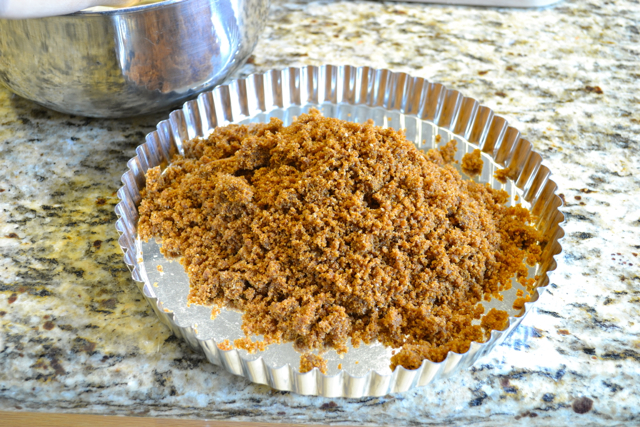 Combine 1 3/4 cups graham cracker crumbs with 4 tablespoons sugar and ½ cup melted butter. Press into 10 inch tart pan. If using a 9 inch pie plate, follow the directions on the graham cracker crumb box. Bake at 350 degrees for 10 minutes. Beat cream cheese at medium speed until fluffy. Gradually beat in sweetened condensed milk. Add lemon juice and vanilla. Pour into cooled crust. Refrigerate at least 3 hours or until set. Once set, arrange fruit on top to resemble a flag. Pipe whipped cream in between rows of raspberries. Pour 1 cup chilled heavy whipping cream to the bowl of an electric mixer fitted with a whisk attachment. (for best results, chill the bowl and the beater before using). Add 1 tablespoon sugar. Start on low and gradually increase speed to medium high. (8 on a KitchenAid stand mixer) The cream will start to thicken and soft peaks will form. Continue until the cream stands in stiff, sharp peaks. This only takes a few minutes; watch the cream closely and do not over whip. 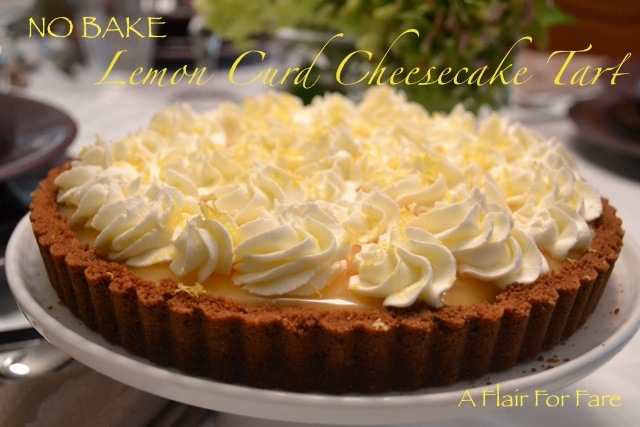 I love lemon in any fashion, be it in candy, cookies, bars or pie. 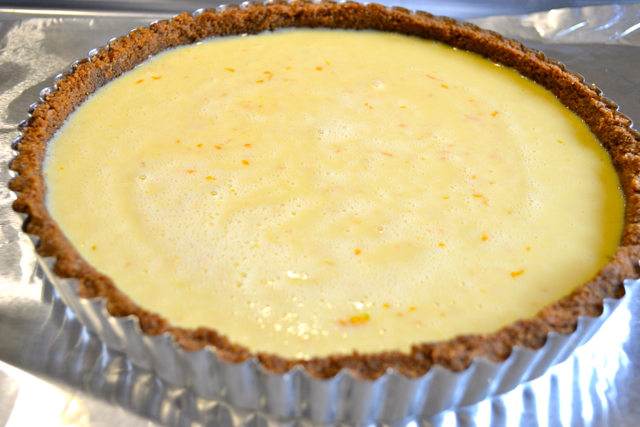 This sour cream and lemon pie is so creamy and delicious; I used Meyer lemons for a sweeter, less tart lemon flavor, but using common Eureka lemons will make a pie that is just as delicious. 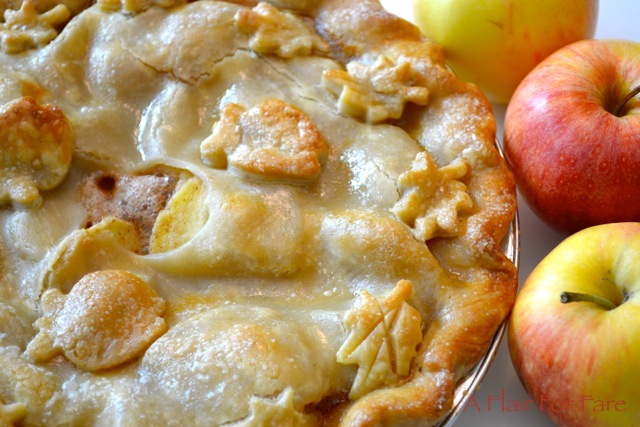 Bake your pie crust and let it cool completely. Add first five ingredients to a heavy bottomed saucepan. Bring to a simmer and cook over medium-low heat until thick, whisking frequently. Remove from the heat and whisk in the butter until well incorporated. Prepare a large bowl of ice and cold water large enough to hold the saucepan. Place saucepan in ice water, adding additional ice as needed. Stir occasionally until mixture cools completely. Whisk in the sour cream. 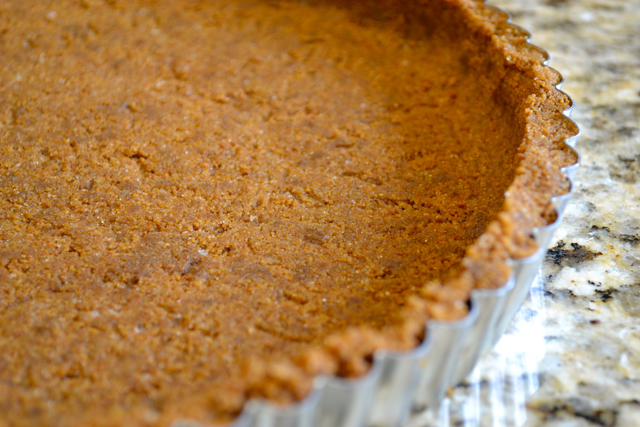 Pour into your pre-baked pie crust and refrigerate at least two hours. Prior to serving prepare whipped cream and top pie as desired. Pour 2 cups chilled heavy whipping cream to the bowl of an electric mixer fitted with a whisk attachment. (for best results, chill the bowl and the beater before using). Add 2 tablespoons sugar. Start on low and gradually increase speed to medium high. (8 on a KitchenAid stand mixer) The cream will start to thicken and soft peaks will form. Continue until the cream stands in stiff, sharp peaks. This only takes a few minutes; watch the cream closely and do not over whip or you might end up with butter. 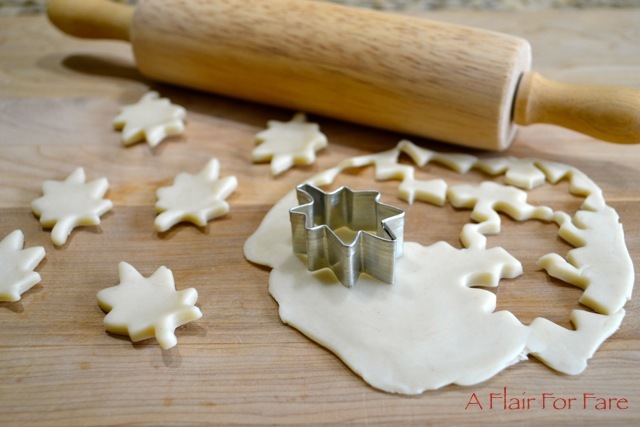 Add whipped cream to a piping bag with decorative tip and pipe decorative swirls onto the pie as you wish. I used a large Wilton tip. For best results, do not use ultra-pasteurized whipping cream. I find that using a whipped cream stabilizer helps the whipped cream hold up longer. I find anything made with coconut to be simply irrestisible. This pie reminds me of the coconut pudding pies my Mother made during the holidays. 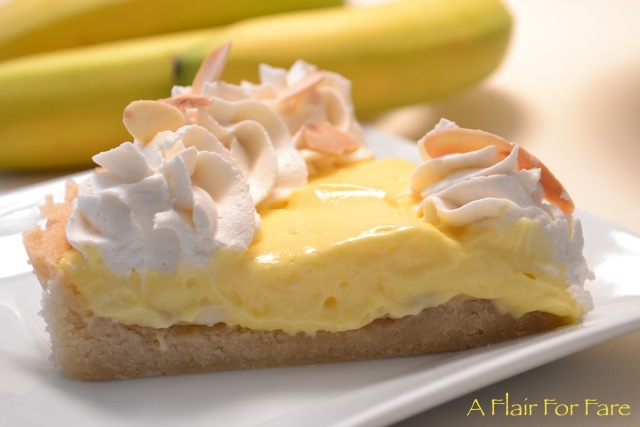 Crowned with an old fashioned meringue topping, the custard is made using cream of coconut which puts this sweet, creamy dessert over the top. Separate 3 eggs and bring egg whites to room temperature for 30 minutes. 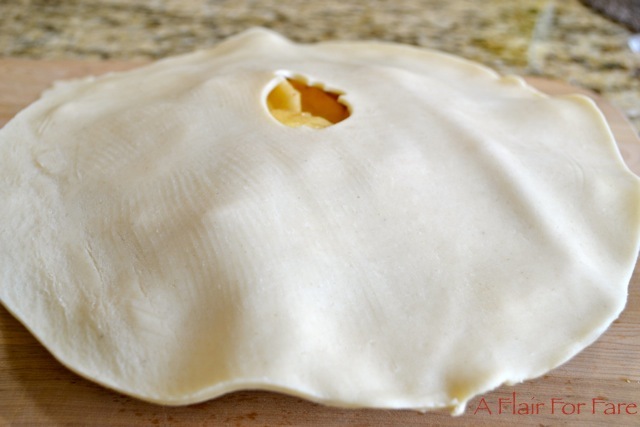 Prepare and bake pie shell. Make filling. In a medium saucepan combine sugar, cornstarch, and salt. Whisk in milk and cream of coconut. Cook, stirring constantly, over medium heat until thickened and bubbly. 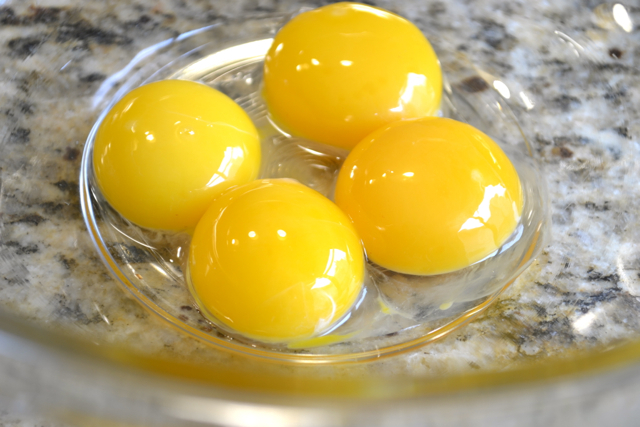 Temper the egg yolks by stirring in about 1 cup of the hot milk mixture into the beaten egg yolks. This prevents the eggs from cooking when they meet the hot milk mixture. Add back to the saucepan. Continue cooking and stirring until bubbly. Remove saucepan from heat. Add butter and mix until melted. Mix in 1 cup coconut and 2 teaspoons vanilla. Pour hot filling into baked pastry shell. Make meringue. In a large mixing bowl beat egg whites, 1/2 teaspoon vanilla, and cream of tartar on medium speed of an electric mixer until soft peaks form and tips curl. Gradually add in 1/3 cup sugar, beating until stiff peaks form. Top filling with meringue and spread evenly, sealing edges. Sprinkle with 2 tablespoons coconut. Bake in a 350 degree oven for 15 minutes. Cool for 1 hour on a wire rack. Cover and chill 3 to 6 hours before serving. Makes 8 servings. Note: if you can’t find Cream of Coconut in the baking aisle, check the liquor section of your store. Cooler temps, falling leaves, fresh picked apples. Apple pie time. This recipe is so simple and so delicious! 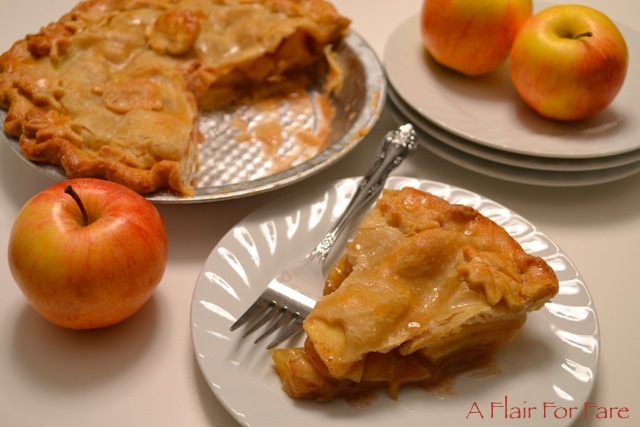 Who wouldn’t love a flaky crust full of sweet apples and spicy cinnamon. Save on time with a pre-made crust. This 8 inch version is the perfect size for a small group. 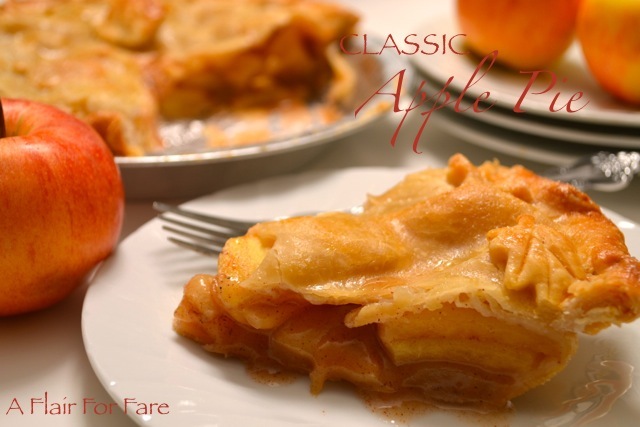 Prepare pie crust; your favorite recipe or store bought pre-made brand. Add bottom pie dough to pie plate and trim to fit. Save trimmings. Peel, core and thinly slice apples. Add to medium sized glass mixing bowl. Squeeze juice from lemon onto apples and toss well. Add sugar, cinnamon, nutmeg and flour. Mix well to coat. Pour apple filling into prepared pie pan. Carefully lay top pie dough over filling. Trim to fit. Fold top dough edge under bottom dough edge and pinch to flute or crimp with fork. Cut slits or a circle of dough from the center to allow steam to escape. Beat egg and a tablespoon of water in small bowl. Brush egg wash over pie dough. Optional – press dough trimmings into a ball. Roll out on lightly floured board. 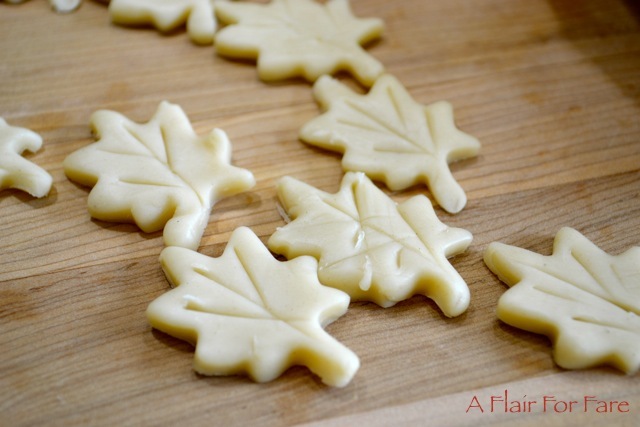 Cut out leaves, use paring knife to score. 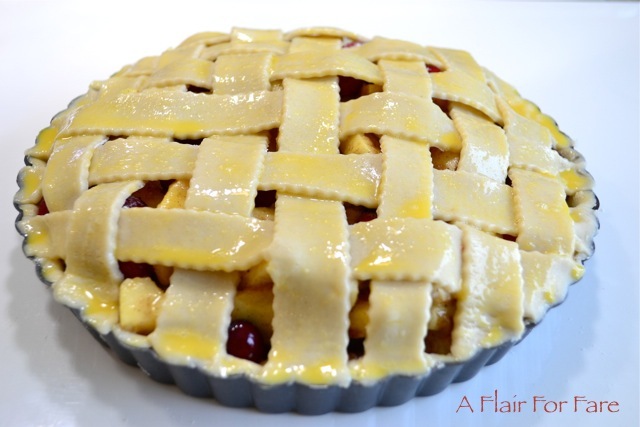 Arrange on top of pie and brush with egg wash.
Move pie plate to cookie sheet. Place in oven and bake until golden; 45-50 minutes. Watch closely and loosely cover with a sheet of aluminum foil if needed to prevent over browning. Remove from oven and move to wire rack to cool. Serve slightly warm with vanilla ice cream. Serves 6. Use store bought cookie dough and instant pudding mix for a dessert that’s fast, easy and super delicious! Form cookie dough into a ball, then press into a disc. Roll out into an 11 inch circle, carefully line tart pan with cookie dough. Press dough up the side of the pan, trim excess and discard. 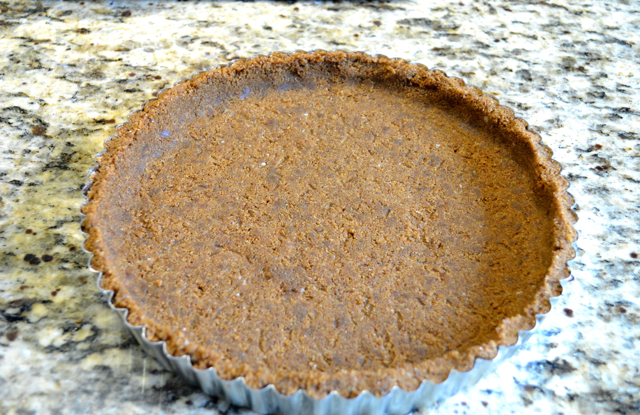 Place tart pan on a cookie sheet and move to refrigerator to keep cold while oven preheats. Tip- dough is easiest to work with if kept cold. Roll out on a sheet of wax paper. Put tart pan upside down on center of dough circle, pick up wax paper by edges, then flip over. In a small mixing bowl, add half and half, milk and pudding mix. Beat with a hand mixer on medium speed about 5 minutes or until set. Cover and refrigerate. Move tart pan on cookie sheet to oven. Bake 10 minutes, remove from oven and prick with a fork to let steam escape dough. Return to oven and bake 4 minutes, dough will be puffy. Prick again and use bottom of a small measuring cup to press down center of dough. Return to oven and bake 4-6 minutes until edges are very lightly brown. Remove from oven, press center down again, if needed. Move tart pan to wire rack to cool. When cookie dough is completely cooled, it is ready to fill. Cover bottom of crust with 2 sliced bananas. Top with pudding and spread evenly to cover. Return to refrigerator while you make the whipped cream. Pour 1 cup chilled heavy whipping cream to the bowl of an electric mixer fitted with a whisk attachment. (for best results, chill the bowl and the beater before using). Add 1 tablespoon sugar. I also like to use a whipping cream stabilizer, which helps keep the whip cream stiff with out separating. I use a product called “Whip it” by Dr. Oetker, but this is totally optional. Start on low and gradually increase speed to medium high. (8 on a KitchenAid stand mixer) The cream will start to thicken and soft peaks will form. Continue until the cream stands in stiff, sharp peaks. This only takes a few minutes; watch the cream closely and do not over whip or you might end up with butter. Add whipped cream to a piping bag with decorative tip and pipe decorative swirls onto the tart as you wish. I used Wilton large tip 6B. *Note: If you don’t want to pipe the cream and prefer just to cover the top of the tart with it, increase the amount of cream to 1 and 1/2 cups and add another tablespoon of sugar. For the almonds, warm a small non-stick pan over low heat. Add almonds and toast for about 4 minutes stirring often. Watch closely so not to burn. Remove from heat and cool. 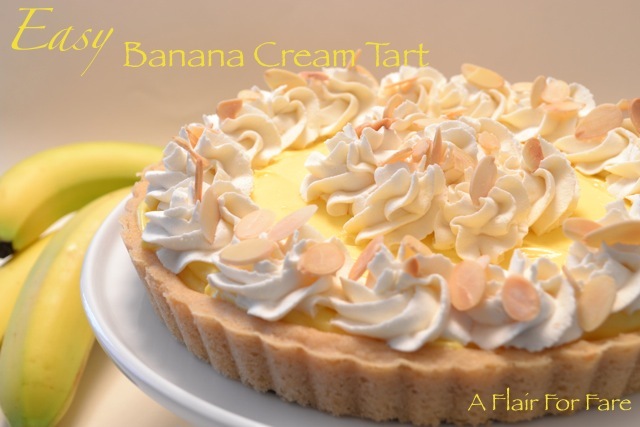 Remove tart from refrigerator and top with whipped cream and almond slivers, if desired. Cut and serve. Store covered in the refrigerator. You don’t need a holiday to delight in the all the wonder that is pie. 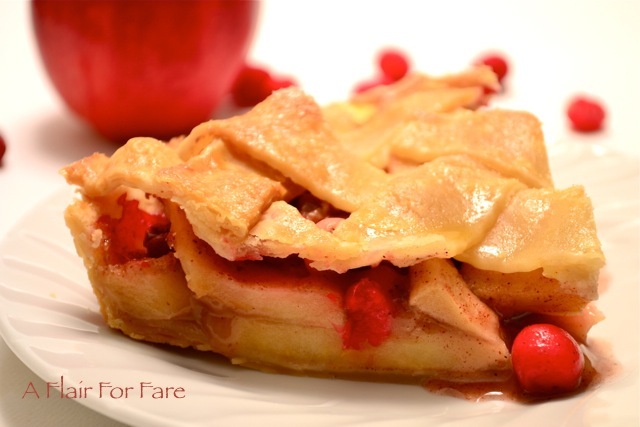 This simple, yet elegant dessert celebrates the flavorful combination of sweet apples and tart cranberries. Serve warm with vanilla ice cream for an unforgettable taste treat. What- no tart pan? No worries. Just use a 9 inch pie plate instead. Preheat oven to 350 degrees. 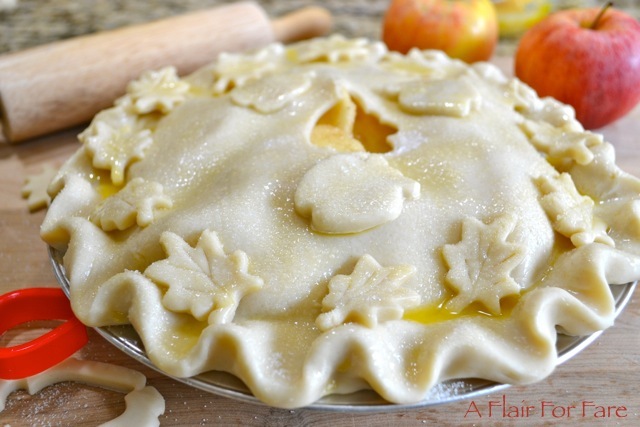 Line a 9 inch tart pan with removable bottom with one pre-made pie crust. Trim excess and discard. Cut top crust into 13 strips. Set aside. Toss sliced apples in lemon juice. Sprinkle with sugar, cinnamon, nutmeg and flour. Toss to coat. 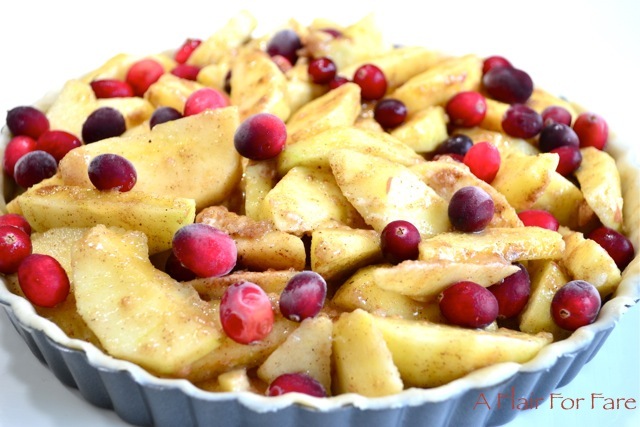 Fill lined tart pan with apple mixture. Sprinkle with cranberries. 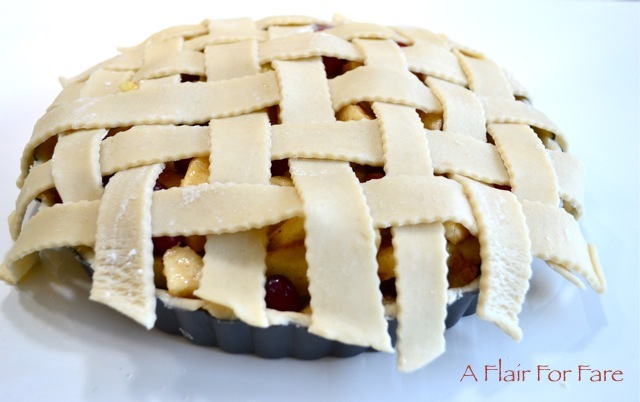 Top filling with 7 parallel strips of pie dough. Weave remaining strips under and over into a lattice pattern. Bring out to the rim of the pan, press and pinch off excess. In a small bowl, whisk egg with a tablespoon of water. Using a pastry brush, brush egg wash over dough. 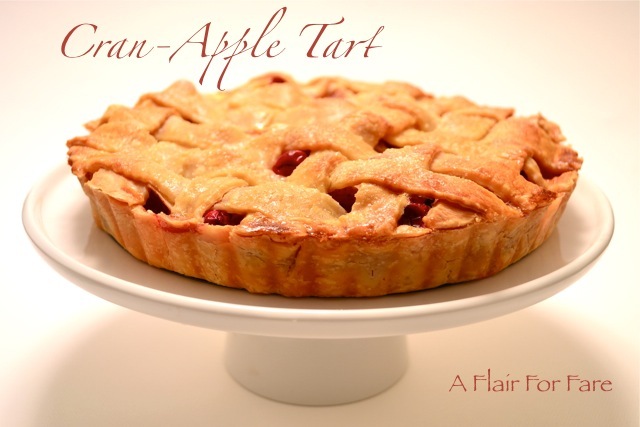 Move tart pan to a rimmed baking sheet and place into oven. Bake 45 to 50 minutes. 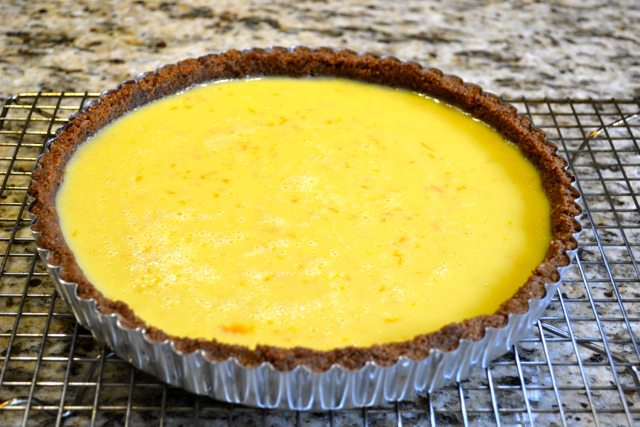 Check at halfway point, if crust is browning quickly, carefully lay a sheet of foil over tart to prevent over browning. Remove from oven when done and cool completely on a wire rack. Remove tart ring, cut and serve. This recipe that I am about to share with you is very special. Not because it is one of a kind, or has amazing, unusual ingredients. 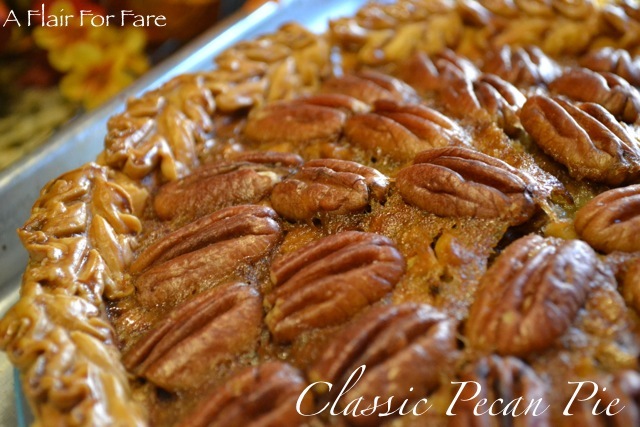 You can probably find tons of pecan pie recipes that are very similar featured in any cook book or magazine. 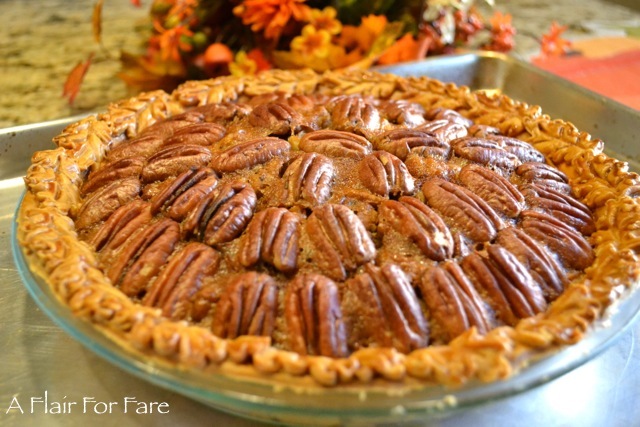 This is a simple, classic pecan pie recipe. What makes it special are the memories that are tied to it. 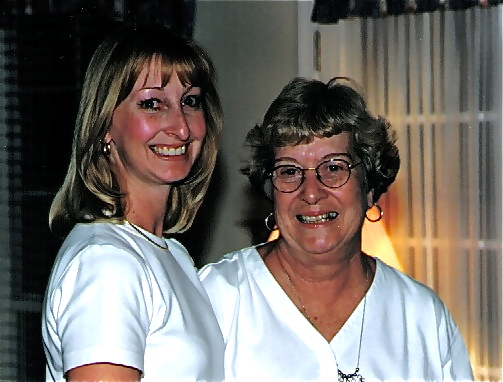 Memories of a big sister who was like a mother to me. A big sister that I lost to cancer. My oldest sister Bonnie. Bonnie’s life was about faith and family. She gave much to many, and we miss her terribly. I remember the day she wrote out the recipe and handed it to me. I was home for Christmas, down in Alabama with my 10 year old son Bryant. This was the first time Bryant had tasted Bonnie’s pecan pie, and he asked her to give me the recipe. That was 22 years ago, and I still have that recipe card. I never imagined that 4x 5 recipe card would become such a valued treasure. So now every Thanksgiving and Christmas, I will pull out that card, see her hand writing and many wonderful memories come to mind. And though I am still saddened by her passing, I am so happy and thankful to have had her for a big sister and all of the memories she left with me, and for this recipe that I can share and create new memories with my son and his children. Amazing, isn’t it, how special a pecan pie can be. Happy days with my sister Bonnie. Pie pastry for one nine inch pie plate plus additional for pastry leaves. Line a 9 inch glass pie plate with a pastry shell. Using a pie pastry leaf cutter, cut out enough leaves to cover the pastry edge of the pie plate. In a small bowl, beat one egg with 1 teaspoon water or milk. Brush edge of pie shell with egg wash and line with pastry leaves. Brush tops of leaves as well. Refrigerate while you prepare filling. Combine sugar, corn syrup, vanilla, melted butter and salt. Beat 3 eggs and add to sugar mixture and whisk to combine. Rough chop one cup of the pecans and stir in. 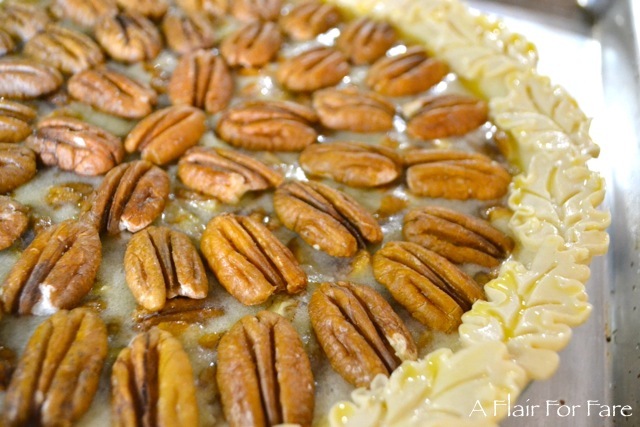 Pour filling into prepared pie shell and top with remaining pecan halves in a circular pattern. 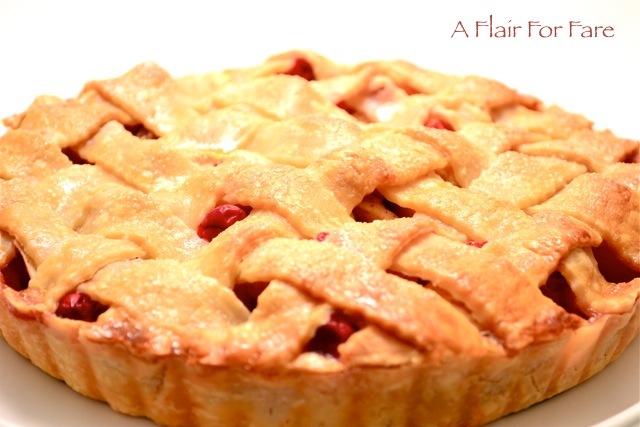 Place pie plate on a rimmed cookie sheet and put into oven on center rack. Bake 55-60 minutes until center is set. 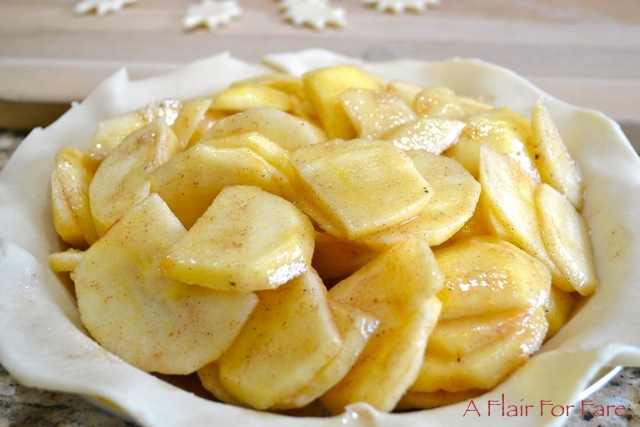 If edges begin to brown excessively, place a sheet of foil loosely over pie to shield. This is a recipe I ripped out of a Better Homes and Gardens magazine almost 20 years ago. I’ve made it year after year, during the holidays or any occasion I wanted an especially impressive dessert to serve and it never disappoints. If you want to walk away with rave reviews, you’ll want to give this sweet treat a try. 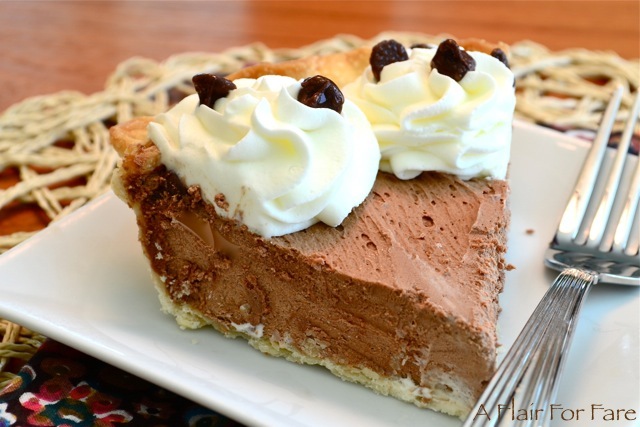 Creamy, dreamy, silky chocolate pie. Not a pudding pie, mind you. 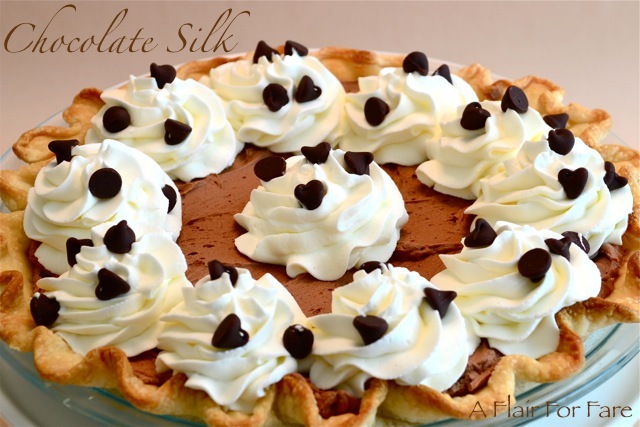 This is french silk. Thick, rich, decadent. Topped with freshly made whipped cream, it’s all you’ve ever wanted, and more. Prepare your pie crust. Bake and set aside to cool. Add 1 cup heavy whipping cream, chocolate chips, sugar and butter to a heavy bottomed 2 quart saucepan over low heat. Cook, stirring constantly until chocolate is melted and all ingredients are combined. In a small bowl, beat egg yolks. Remove saucepan from heat. Add about 1/4 cup of the chocolate mixture to the beaten eggs to temper* (see note). Return egg mixture to saucepan over medium low heat. Bring to a low simmer, stirring constantly. Mixture with thicken slightly and start to bubble, 3 to 5 minutes. Remove saucepan from heat and stir in the chocolate liqueur. If you prefer not to use liqueur, stir in an additional 3 tablespoons of heavy whipping cream. Prepare a large bowl of ice and cold water large enough to hold the saucepan. Place saucepan in ice water, adding additional ice as needed. Stir occasionally as mixture cools and stiffens. This will take about 20 minutes. Remove saucepan from ice water and beat on high speed with an electric hand mixer for 2-3 minutes. Filling will become light and fluffy. 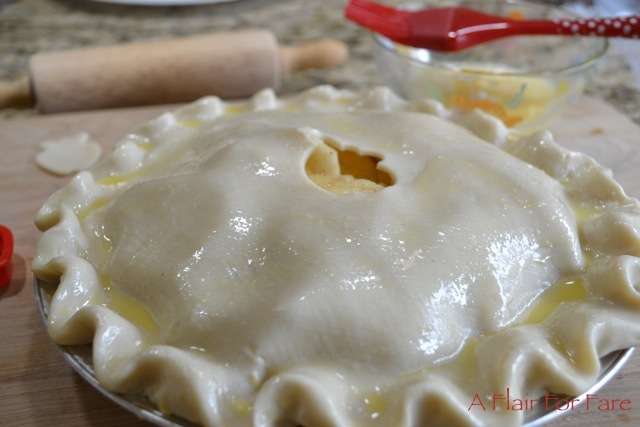 Spread filling evenly in pie shell, cover and chill at least 5 hours or overnight. Decorate with freshly whipped cream and mini chocolate chips and chill for another hour before serving. Pour 1 cup chilled heavy whipping cream to the bowl of an electric mixer fitted with a whisk attachment. (for best results, chill the bowl and the beater before using). Add 1 tablespoon sugar. Start on low and gradually increase speed to medium high. (8 on a KitchenAid stand mixer) The cream will start to thicken and soft peaks will form. Continue until the cream stands in stiff, sharp peaks. This only takes a few minutes; watch the cream closely and do not over whip or you might end up with butter. Add whipped cream to a piping bag with decorative tip and pipe decorative swirls onto the pie as you wish. I used a large Wilton tip. If you don’t want to pipe the cream and prefer just to cover the top of the pie with it, increase the amount of cream to 1 and 1/2 cups and add another tablespoon of sugar. For best results, do not use ultra-pasteurized whipping cream. *About tempering: You need to bring the eggs up to a high temperature without cooking them. Take your hot chocolate mixture and add a small amount into the beaten eggs and whisk. Slowly adding the hot mixture to the eggs prevents the eggs from being scrambled. 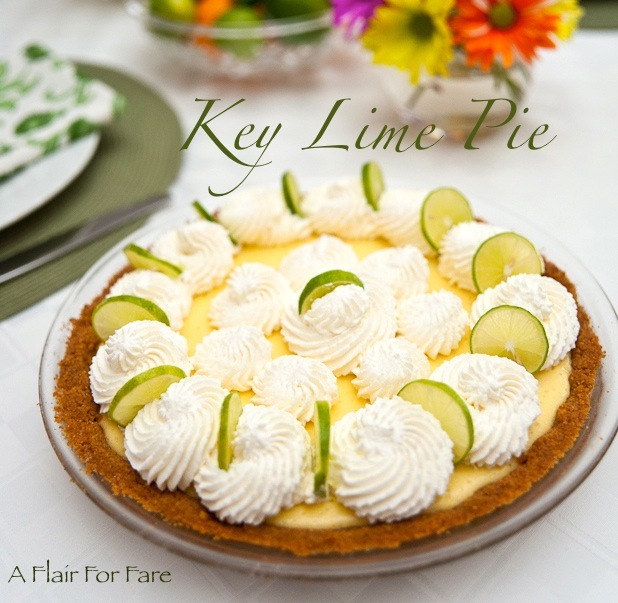 Summertime is Key Lime pie time. Don’t get me wrong, I can eat this delicious, tart concoction any time of year, but there is just something so right about this cool and creamy dessert and warm weather. It’s a match made in heaven, and this super easy recipe makes it that much better. Key limes are not required; any lime will do. But please- take the time to make real fresh whipping cream. Cool whip is just not allowed. 1/3 cup butter melted. Mix all ingredients until well blended. Press firmly onto bottom and up side of 9-inch pie plate. Bake 8 to 10 minutes or until lightly browned. Cool completely. In a large mixing bowl, beat egg yolks with condensed milk and lime juice. 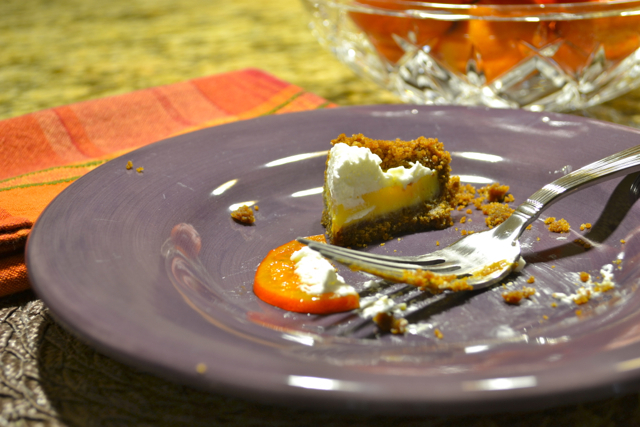 Pour into prepared graham cracker crust and bake 30 minutes. Cool to room temperature, cover and move to refrigerator to chill. To make the whipped topping, chill mixing bowl and whisk attachment in the freezer for 1 hour. 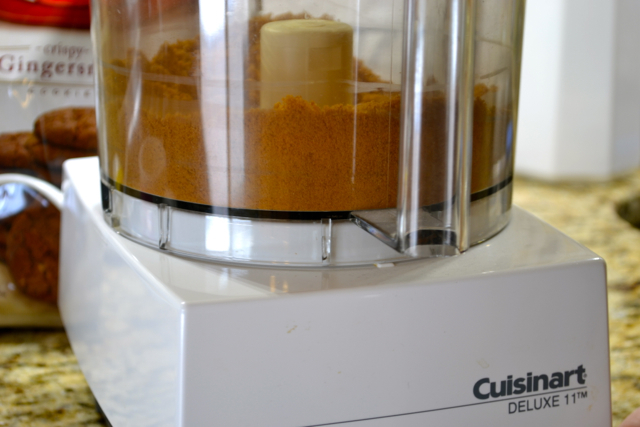 You can use a hand mixer or stand mixer. You’ll need 1 to 1- 1/2 cups very cold heavy cream. 1 cup makes about 2 cups whipped cream. If piping the topping I suggest you increase to 1 and 1/2 cups. Avoid ultra pasteurized cream, it is harder to whip and doesn’t hold it’s shape for very long. Pour cream into chilled mixing bowl. Add sugar and vanilla extract. Start out a slow speed and gradually increase to high as the cream thickens. Slow down when soft peaks form; this will happen quickly- do not over beat or it will lose volume and become butter. Pipe or spread over chilled pie and garnish as desired. 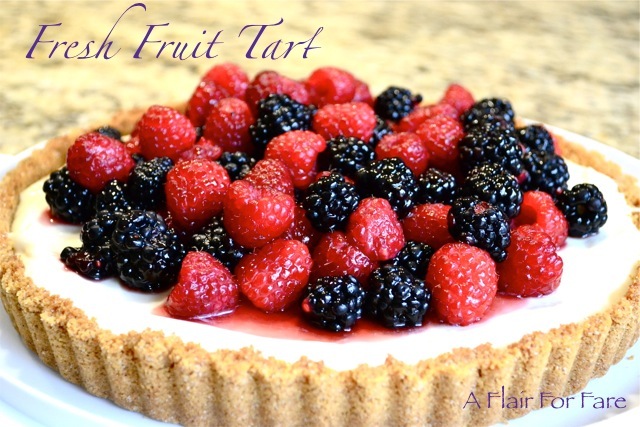 Here’s a quick and easy cream cheese tart that you can top with your favorite fruit. 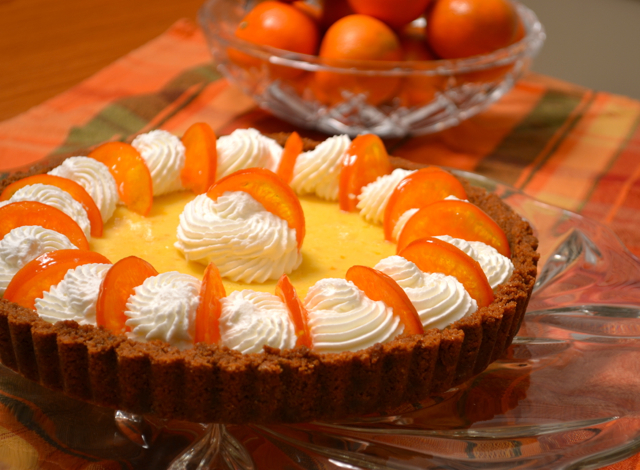 I decorate it many different ways, often using an array of berries, kiwi and mandarin oranges. It’s cool and refreshing on a hot summer night. Fruit suggestions: Fresh strawberries, raspberries, blackberries, blueberries, mandarin oranges, kiwi. 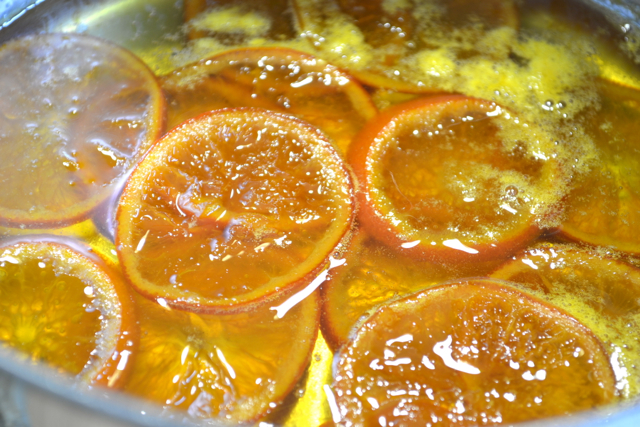 Melt 2 tablespoons currant jelly with a teaspoon of water. Beat cream cheese at medium speed until fluffy. Gradually beat in sweetened condensed milk. Add lemon juice and vanilla. Pour into cooled crust. Refrigerate at least 3 hours or until set. Once set, arrange fruit on top as desired and brush with currant jelly glaze. Store covered in refrigerator. I’m sure everyone is familiar with Cuties, especially if you have kids. 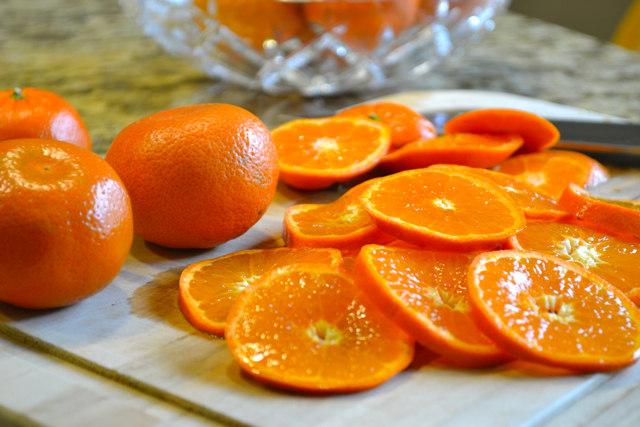 A hybrid between a mandarin and sweet orange, “Cutie” California Clementines are at their peak. Available November through April, these juicy compact citrus fruits are a sweet treat and we have been enjoying them all season. 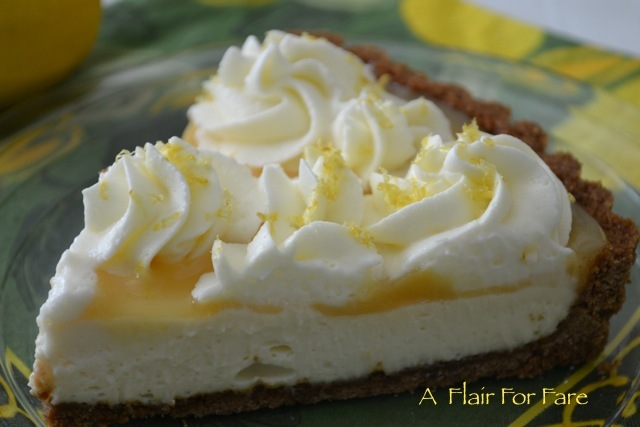 Flipping through my recipes looking for dessert ideas for the weekend, I came across a recipe for Key Lime pie and had an epiphany. Ok, a bit dramatic, but still an interesting plan. 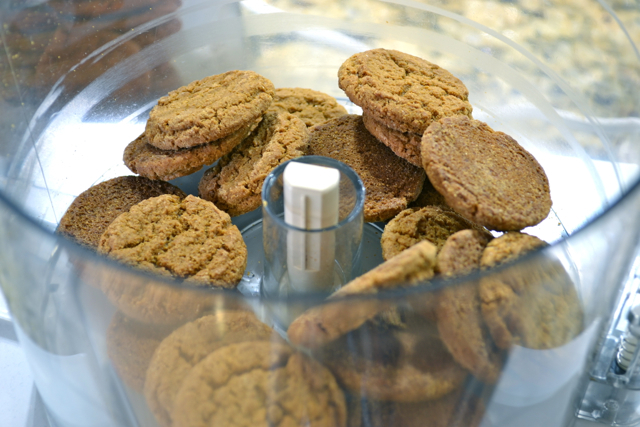 Why not switch out the lime juice and zest with mandarin orange juice and zest and substitute gingersnaps for the graham crackers. Sounds like a great combination, so I gave it a whirl. 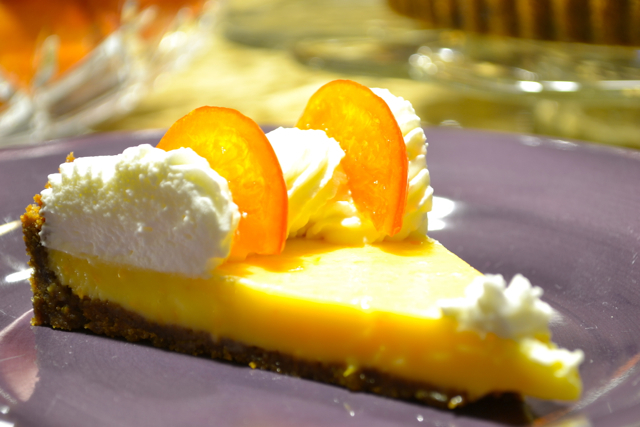 The result, a fabulously, light, creamy and quite orangey, sweet surprise. 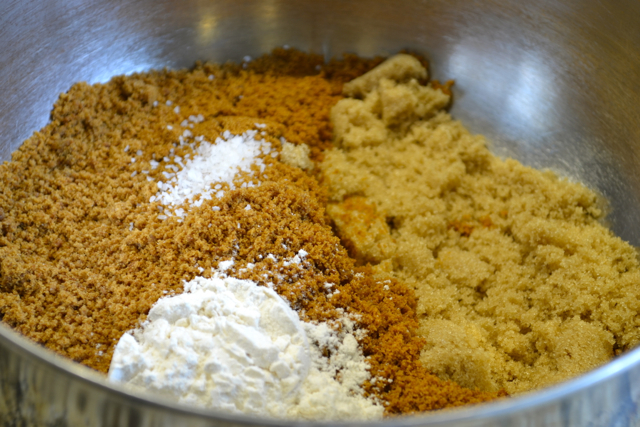 Transfer cookie crumbs to a medium sized mixing bowl and add brown sugar, flour and salt. Mix well. 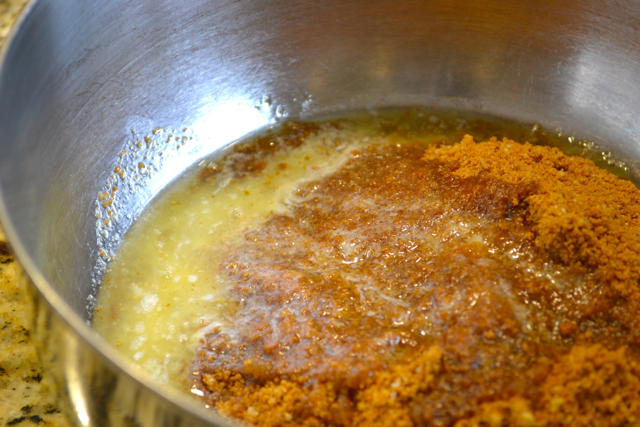 Combine cookie crumbs and butter, then transfer mixture to your tart pan. Press crumb mixture firmly on bottom and up the sides of the pan. Transfer tart pan to a foil lined baking sheet and into the oven. Bake for 8 minutes. Remove from oven and cool on a cooling rack while you prepare the filling. Reduce oven temperature to 325 degrees. Start with zesting the cuties. 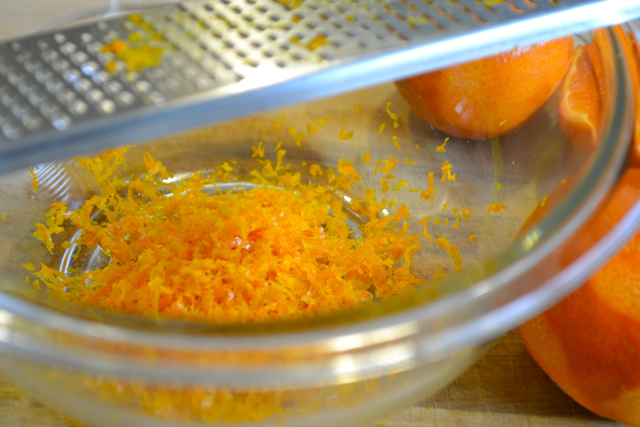 Using a rasp zester, carefully remove the rind from the orange. Do not remove the white pith which is bitter tasting. 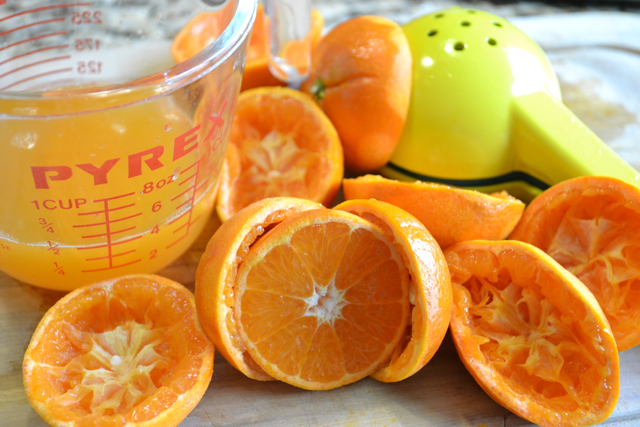 Next juice the Cuties using your preferred method. 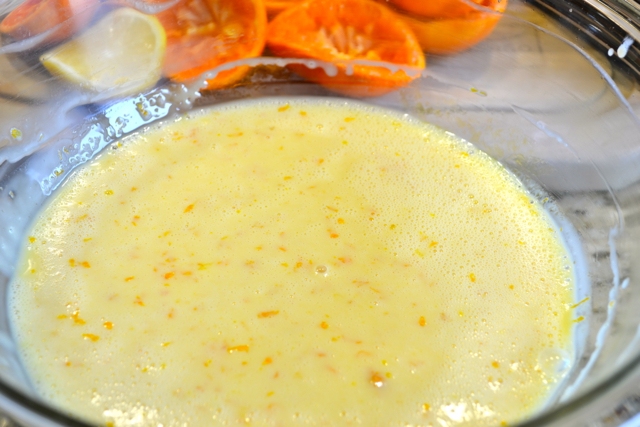 In a large mixing bowl, beat the egg yolks with the juice and sweetened condensed milk. Add zest and stir into the batter. Pour batter into cooled crust. Bake for 17 minutes. The center should be set, but jiggle slightly when lightly shaken. Cool completely on wire rack then move to the refrigerator to chill. How you wish to garnish is entirely up to you. These next steps are totally optional. 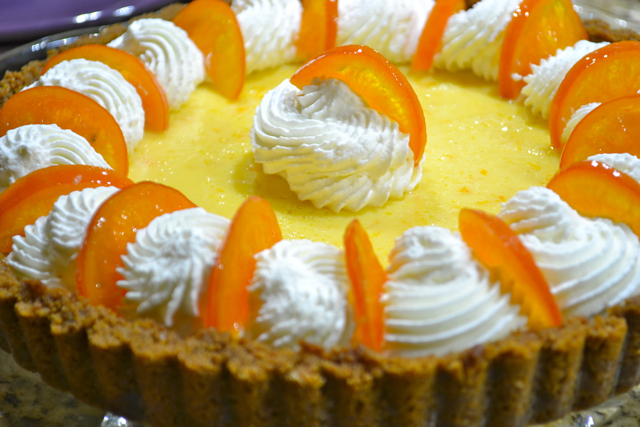 I chose to pipe freshly made whipped cream onto the top of the tart and added candied mandarin orange slices for a special touch. Pour 1 cup chilled heavy whipping cream to the bowl of an electric mixer fitted with a whisk attachment. (for best results, chill the bowl and the beater before using). Add 1 tablespoon sugar. Start on low and gradually increase speed to medium high. (8 on a KitchenAid stand mixer) The cream will start to thicken and soft peaks will form. Continue until the cream stands in stiff, sharp peaks. This only takes a few minutes; watch the cream closely and do not over whip or you might end up with butter. Add whipped cream to a piping bag with decorative tip and pipe decorative swirls onto the tart as you wish. I used Wilton large tip 6B. If you don’t want to pipe the cream and prefer just to cover the top of the tart with it, increase the amount of cream to 1 and 1/2 cups and add another tablespoon of sugar. 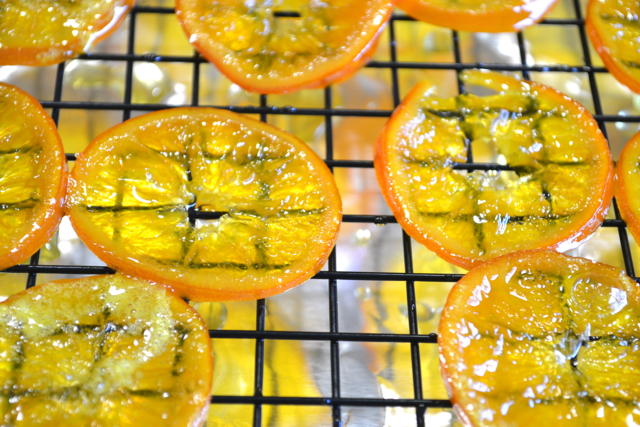 For the candied oranges, slice 2-3 Cuties into 1/8 inch slices. Bring 1 cup water and 1 cup sugar to a low boil. 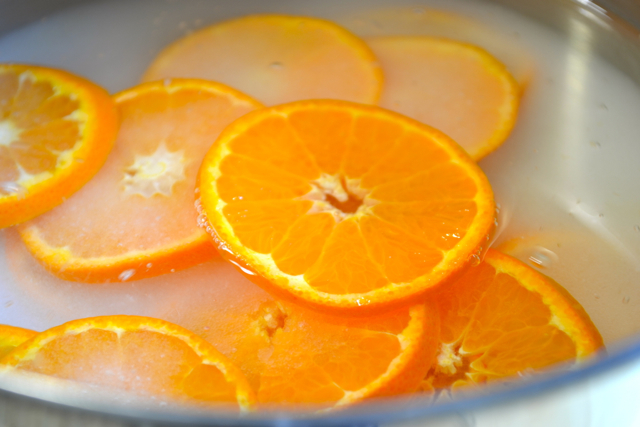 Add fruit slices and simmer on low for about 45 minutes until the rind is very soft and the fruit is translucent. Turn fruit every 15 minutes. Transfer fruit to a wire rack and cool completely. Slice in half and insert in between swirls of whipped cream. Now, slice this puppy up and partake in all the goodness. Goodness, to the very last bite.